Meet the demands for efficiency and manageability in high-volume applications. 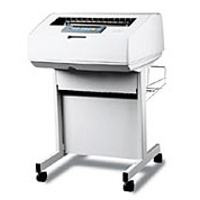 The InfoPrint® 6500-v1P line matrix printer was built to rapidly adapt to changing business environments. With a state-of-the-art print engine and controller technology, you can confidently meet the demands of back office and/or data processing applications. Powerful remote management capabilities help to maximize printer utilization. The InfoPrint® 6500-v1P line printer offers reliable high performance printing in virtually any office or supply-chain environment, as well as support for a wide range of media types—all with a low total cost of ownership. 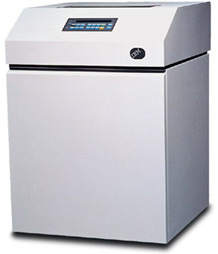 Providing printing at speeds 1,000 lines per minute (lpm), this printer is a feature rich, versatile impact printer that is available in an open pedestal or enclosed cabinet design. The open pedestal design minimizes floor space requirements and optimizes access to forms. Feature and functionality upgrades to both designs further improve these already reliable and efficient printers. The printer features a high-function, multilingual operator interface with built-in attention light, blue touch-point controls and an auto-platen stop recall device, which helps to ensure the proper gap adjustment following a forms reload. Enhancements to the pedestal design also include increased accessibility for ribbon loading and heavyduty casters for improved mobility. ***OCR A and OCR B support 120 and 180 PEL, with 120 PEL the default value. Several graphics and vertical formatting features are available. A protocol is a set of rules governing the exchange of information between the printer and its host computer. These rules consist of codes that manipulate and print data and allow for machine-to-machine communication. A printer and its host computer must use the same protocol. As used in this manual, protocol and emulation mean the same thing. 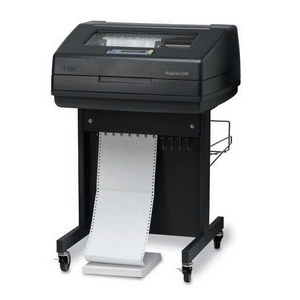 Most impact printers are single ASCII character codes to print text, numbers, and punctuation marks. Some characters, both singularly and in groups are defined as control codes. Control codes instruct the printer to perform specific functions, such as underlining text, print subscripts, setting page margins, etc. The main difference between most printer protocols is in the characters used to create control codes and the ways in which these characters are formatted. When the printer executes the character and control codes of a particular printer protocol, it is “emulating” that printer. If the printer uses the Proprinter III XL protocol, for example, it is emulating an IBM Proprinter III XL printer. If the printer is using the Epson FX printer protocol, for example, we can also say it is in Epson FX emulation mode. There are additional emulations that are provided as optional features, such the Code V and IGP emulations.